Trying to understand the wonders and mysteries of the natural world has been a human preoccupation since the earliest times. A myriad of myths and legends have subsequently evolved to explain the existence and power of our fertile planet. At the same time, the knowledge of which plants to use as essential foods, in valuable remedies, and for construction materials was of obvious importance, not only to learn but also to pass on and remember. 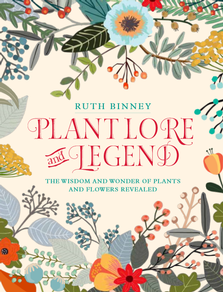 It is therefore hardly surprising that from all corners of the globe a wealth of stories, myths and legends about plants has been passed down to us, gathered together in this fascinating volume. Here you will discover sound principles in some of the traditional advice, and wisdom in many of the observations of the plant world. However there are also highly fanciful superstitions, intriguing tales and amusing anecdotes, which any plant lover will truly relish.